Forget commercial air fresheners. They’re full of toxins. Make your own DIY Air Freshener with just 3 ingredients. It’s simple, non-toxic and all natural. We all have a spot in our home that’s an odor magnet. It could be a shoe closet, hamper, bathroom, garbage can, a musty closet or a diaper pail. Our spot is our bathroom trash can. Maybe it’s the combination of the moisture of the shower/bath and the high traffic the bathroom gets from my family of five. But it ALWAYS stinks. Can you relate? I used to buy air fresheners from the store thinking they would help to get rid of the odors. And I thought they did until I did more research. What?! The very thing we think is cleaning and purifying our air is actually making us sick? YES! It doesn’t matter if it’s an aerosol air freshener, candle, plug-in air freshener, or spray air freshener. Because we all spend most of our time indoors (at home, work, or school) we’re exposed to these toxics more than ever. 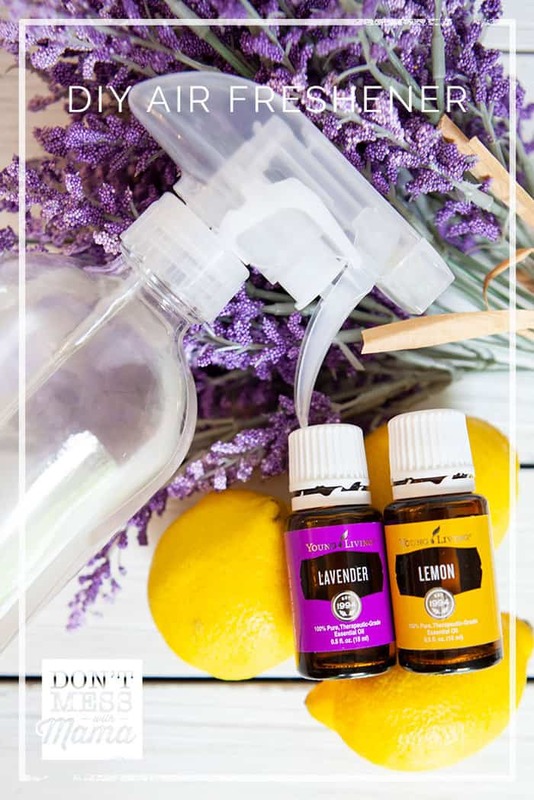 It’s actually very easy to make your own natural DIY air freshener. In fact, this recipe has just three ingredients that you probably already have in your home. This can be used to spray on linens, shoes, garbage cans, diaper pails or pretty much anywhere you want to eliminate odors. 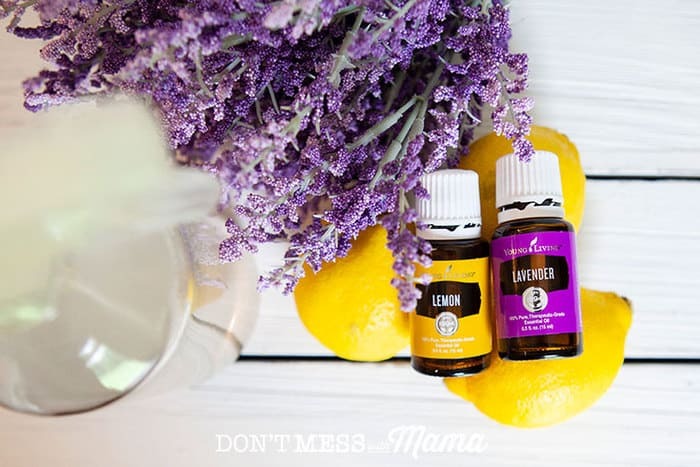 Lavender essential oil provides a relaxing and calming scent, which is great for linens and closets. 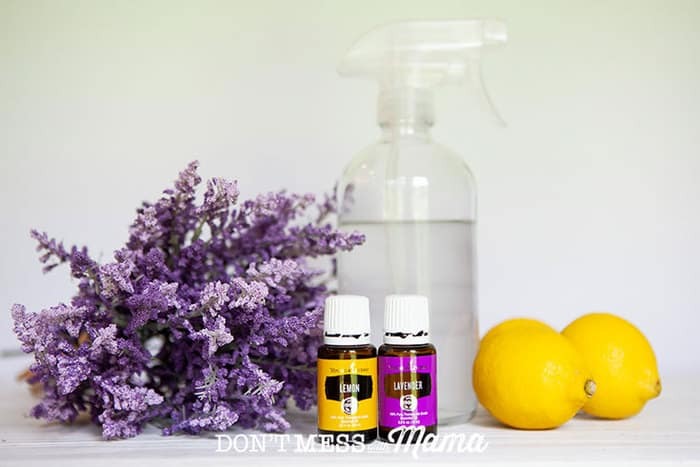 Lemon essential oil provides a refreshing scent, which is great for kitchens and bathrooms. Forget commercial air fresheners. They're full of toxins. 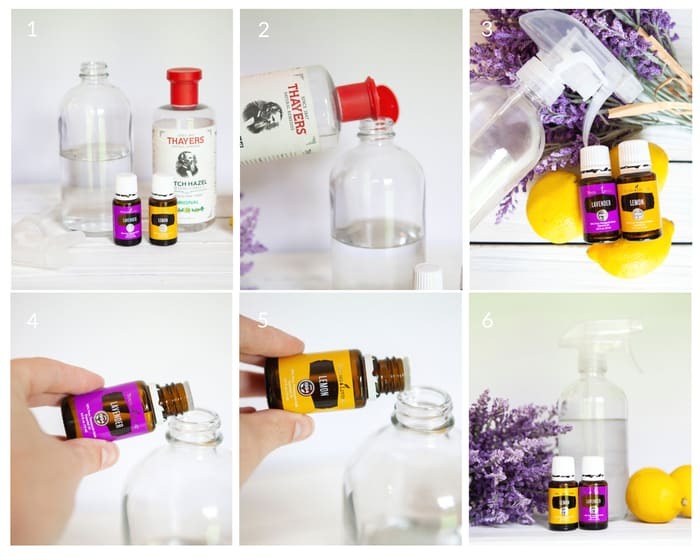 Make your own DIY Air Freshener with just 3 ingredients. It's simple, non-toxic and all natural. 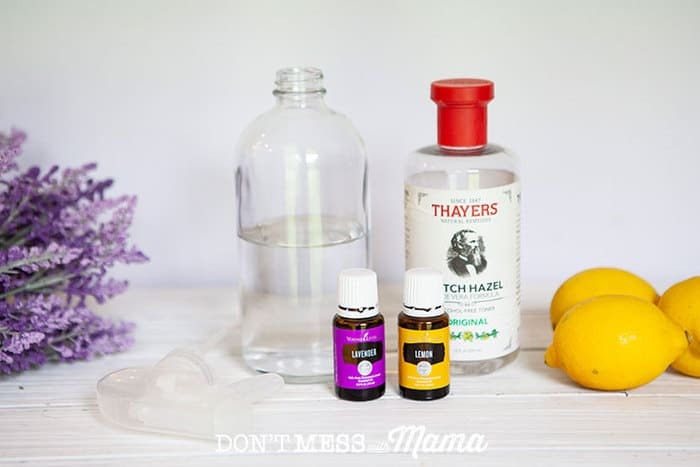 Fill spray bottle with water and witch hazel. Shake the bottle for a few seconds before each use. Vodka can be used in place of witch hazel. It's actually a nice alternative because it dissipates faster than water. Loved it, Will surely give it a try! Thanks! This was so easy to make and it smelled really good too. I used it to get the odor out of my closet, which had a musty smell and it worked great! I will definitely try this recipe or air freshener. Do you have a recipe for the ones you plug in the wall? Great recipe! Can it be made without witch hazel or vodka? Only water and oil. 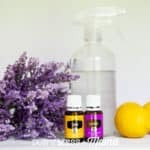 I use the spray several times daily and not need to keep the water fresh for long. Unless you plan to use the whole bottle in 2-3 days, then yes you do need witch hazel or vodka to keep the water sanitized. Hi how long does the air freshener will last with vodka in it? 2-3 weeks since the vodka helps to keep the water from going bad. Where do I get glass bottles? You can find them on Amazon: http://amzn.to/2pgfC3o. I also like to reuse old vinegar bottles and just attach a spray nozzle: http://amzn.to/2nQ06dq. I’m a little confused about the air freshener recipe. The article mentions using alcohol or vodka, then the recipe doesn’t list either one, and gives witch hazel as an ingredient instead. ??? So sorry about that. It’s a typo. It should be witch hazel. The alcohol is for another recipe I’m working on. 🙂 Thanks for pointing out the error. Hey ! Thanks for the great tips. I’m a little confused by your list of ingredients : there’s no vodka! Is it possibly a typo? 1/4 cup of vodka instead? If not, don’t mind me, I’m a foreigner and might not have understood what witch hazel actually is.